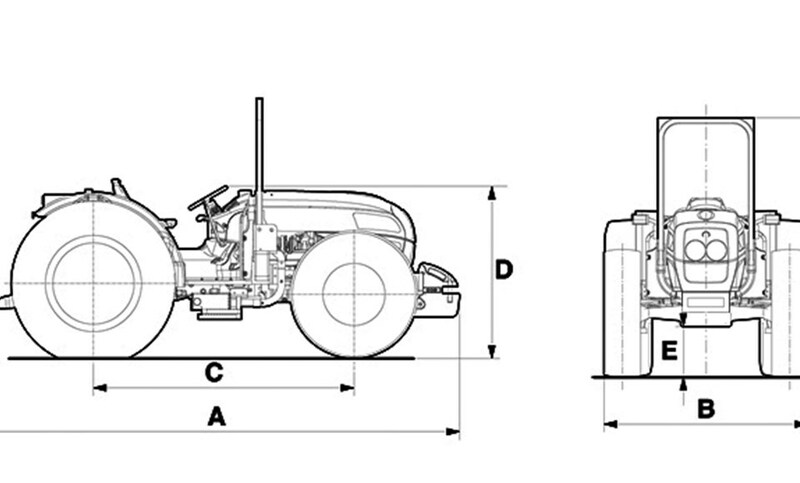 Power Five transmission (40FWD+40REV) with De-Clutch Control and Reverse Power Shuttle. 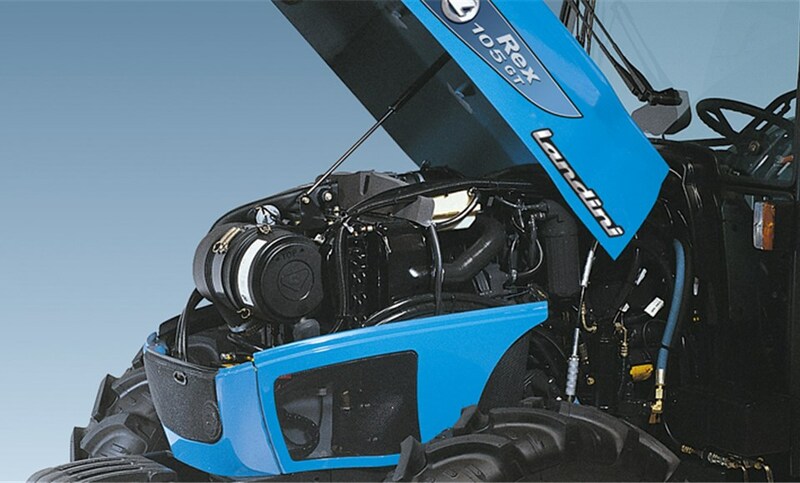 The Power Five transmission (splitter gear with HI-LO electrohydraulic engagement for 20% speed reduction) enables the number of gears of the basic transmission to be doubled using the green pushbutton integrated in the gear lever. Power Five + Speed Five (basic transmission) + Creeper + Reverse Power Shuttle for a total number of 40FWD+ 40REV speeds. The De-clutch Control (orange pushbutton integrated in the gear lever) and the Reverse Power Shuttle (lever applied to the steering wheel), enable clutchless engagement and reversal of all gears. 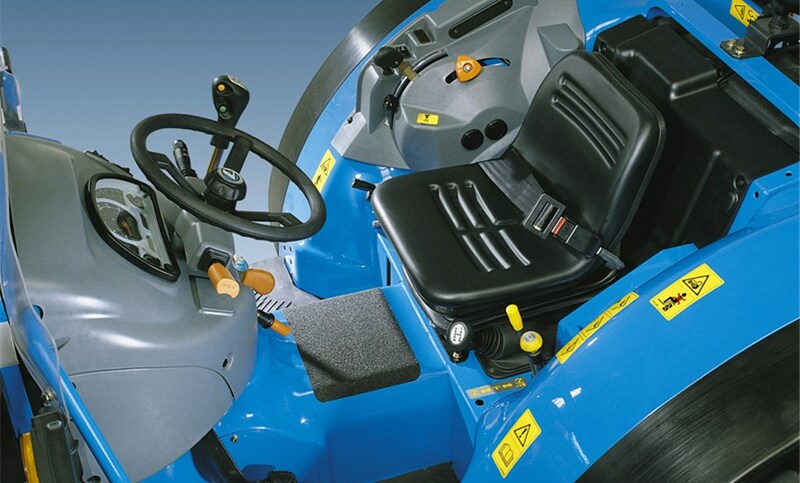 The driving seat is mounted on an ample and comfortable suspended platform and equipped with ergonomically arranged controls. 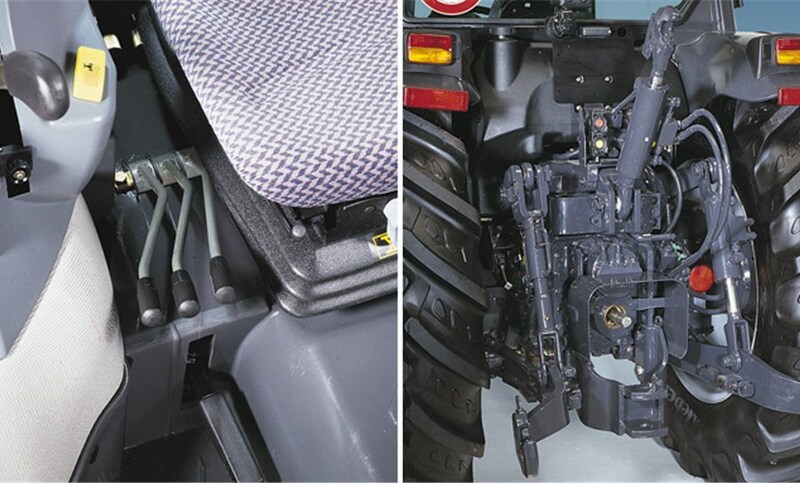 The adjustable seat, the hydraulic steering and the height adjustable steering wheel further improve the comfort. 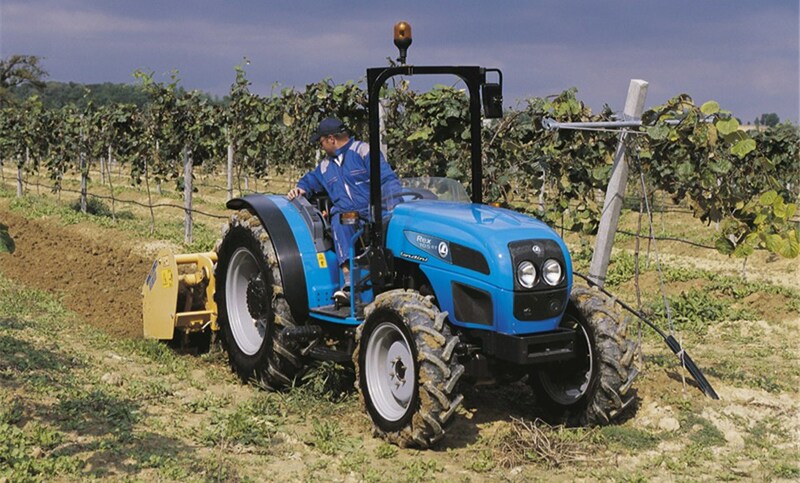 The foldable two-post ROPS makes the work in low orchards easier. The hydraulic system with double pump provides a maximum total flow of 21.6 GPM (82 l/min). The system features simple- and double-acting auxiliary valves, including a floating one. The valves available are 2 for the F and GE models and 3 for the GT model. 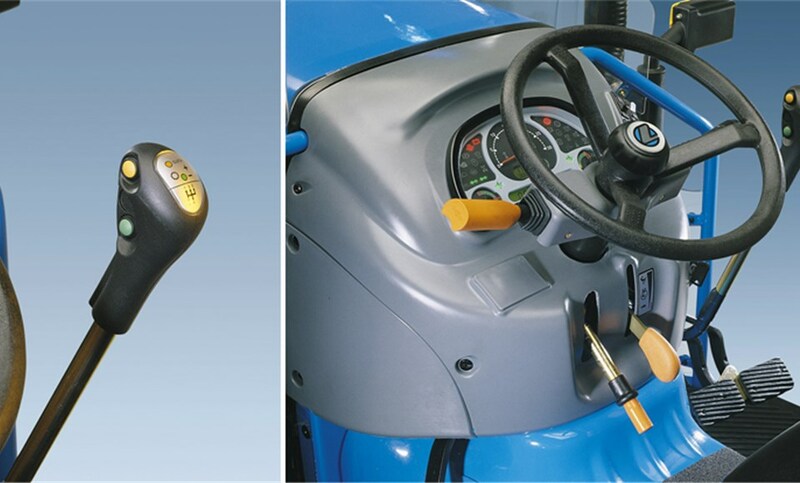 A button-operated three-position flow selector can be optionally fitted on the console to alternately activate an auxiliary valve, the right lifting rod or the top link using the lever of one of the auxiliary valves. As an alternative, a triple pump with 3 front auxiliary valves controlled by a joystick can be fitted on request to operate front implements.